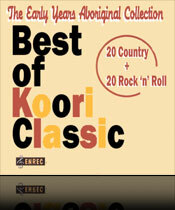 KOORI CLASSIC, the series that launched Australia’s great Aboriginal music. The sound, the style, the feeling – now for the first time available as download! Born in the glow of the famous Min Min light, ROGER KNOX arrived in Tamworth from the infamous Toomelah Mission. After singing at the legendary Joe Maguire’s Pub he was encouraged by local artist Geoff Brown and Hoedown Deejay John Minson. Survivor of two air crashes in one day. He toured the Northern Territory, Queensland and Western Australia with Brian Young in 1980 then the following year set out for more of the same but was almost killed in an air crash. He received first, second and third degree burns to seventy percent of his body. The rescue plane also crashed. That same year he lost his mother, father and twenty-one year old sister. 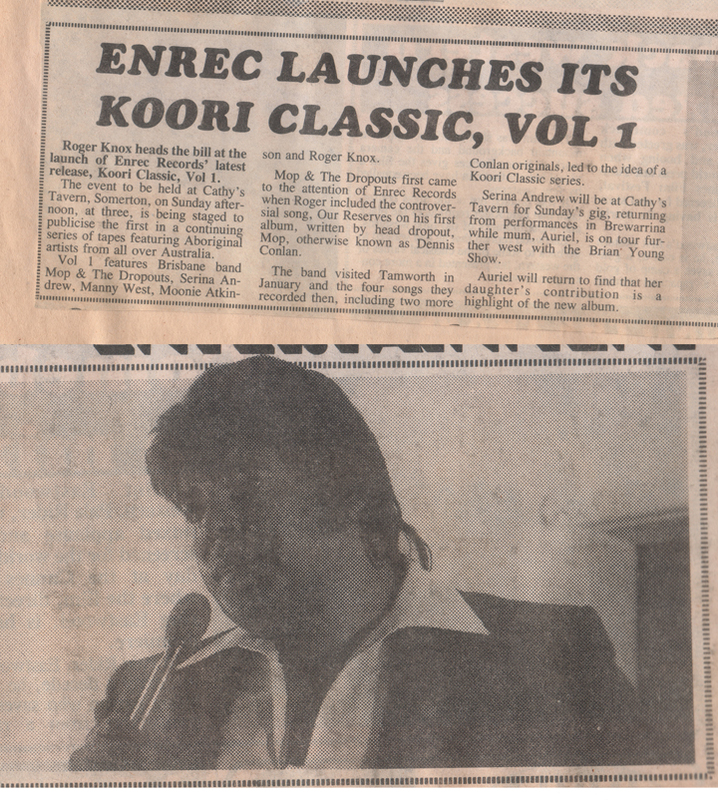 Two years later he was not the first Aboriginal artist to record but he was the first to record modern music with a strong Aboriginal content, soon to be labelled Koori Music. 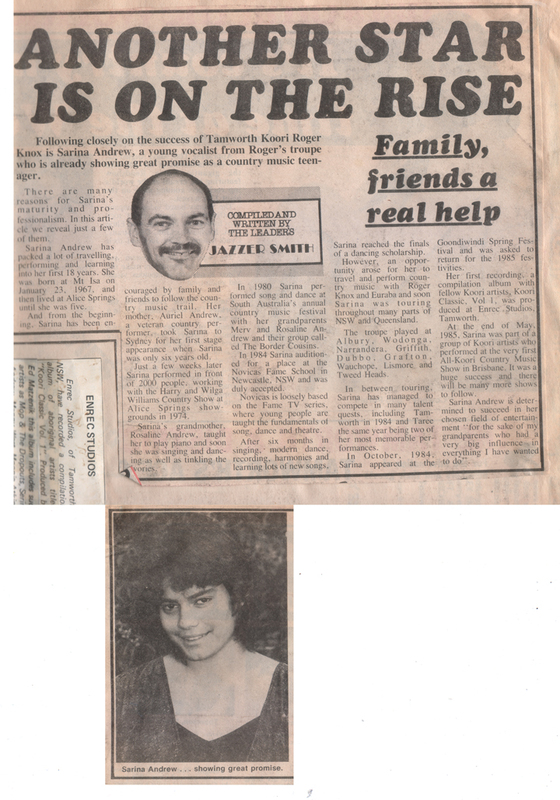 TRACEY LEE GRAY from Coonabarabran in NSW was discovered by Enrec Studios Chief Steve Newton when he was hired to play in a backing band for a talent quest at the 1986 Tamworth Country Music Festival. Tracey won $250 prize money and an unexpected recording deal. TRACEY combines Country and the Blues as if they’d never been apart. Her songs include ‘I’m Not Your Jukebox’, written by harmonica man and ace journalist the late Mort Fist and Champions guitarist Robert “Cuffs” Brooks. VIC SIMMS the first Aboriginal Rock ‘n’ Roll star, made his debut in 1957 sharing the bill with another first-timer, the future superstar Col Joye. Many appearances on Brian Henderson’s Bandstand followed and a Festival Records hit, ‘Yo Yo Heart’. Vic travelled extensively with Col & the Joy Boys and his songs on Koori Classic include his own version of Col’s first record, ‘Goin’ Down Town To See Miss Brown’ and ‘Hey Sheriff’, which introduced Sydney artist Johnny Rebb. Vic cut his versions for a 1988 Bicentennial tribute to Australia’s original rockers. BUDDY KNOX is son of Roger and lead guitarist with the Knox family band Euraba. Somehow Buddy always manages to be both laid back and exciting at the same time. Sings like an angel, plays like a demon. MAC SILVA heard here on the novelty version of ‘Jailhouse Rock’ and two more prison songs, died in 1989. These tracks were recorded when Mac was doing shows in the prisons with Roger Knox and Vic Simms. His name lives on with the Mac Silva Centre, a Sydney hostel for homeless Aboriginal men. MANNY WEST always sounded like a potential superstar on stage but he travelled the country unscheduled and unpublicized. He was seldom recorded and died in 1986. IAN “MOONIE” ATKINSON’s first record was a self-penned Hank Williams tribute ‘Hank You’re A Legend’ for Tamworth’s Hydra label. His beautiful version of ‘Tell Me My Lying Eyes Are Wrong’ demonstrates the talent that kept him in demand as a featured artist and as a back-up singer in many records and travelling shows. Featuring EURABA; Michael Knox, George Graham, Buddy Knox, Steve Graham, Lloyd Hippi, Gene Knox and the ENREC STUDIO BAND: Dave Adams, Steve Berry, Angelika Booth, Geoff Brown, Nick Burrell, Andrew Clermont, Laurie D, Dan Duffin, Peter Grech, Rob Gilchrist, John Green, Paul Green, Lois Hall, Matt Harrison, Paul Henderson, Theresa Hughes, Dee Lane, Mick Liber, Tim Martin, Leon McGovern, Ed Matzenik, Lawrie Minson, Steve Newton, Ken Pope, Dale Stevans, Garry Steel, Eli Widolf, Randall Wilson, Steve Young. The “Best Of” collection was released through Larrikin / Festival as two CDs (Classic Aboriginal Country & Early Years Aboriginal Rock ‘n’ Roll) in 1996. The new ROUSEABOUT RECORDS re-release can be downloaded from iTunes.